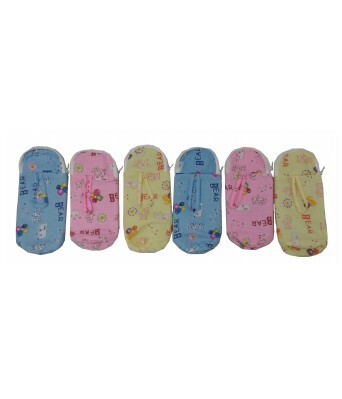 We have wide range of cute bottle covers that will turn the bottle feeding experience into fun for your little one. 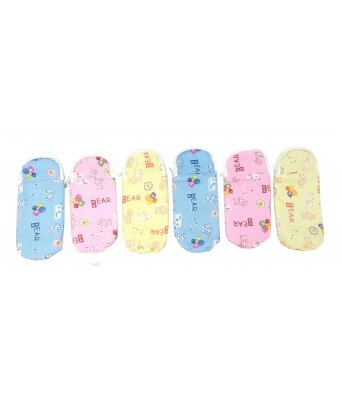 These printed bottle covers are made from soft cotton fabric that protects the feeding bottles from dust & scratches and keep the bottles covered during the time of travel and at home. These bottle covers are easy to clean which makes it ideal for everyday use. These bottle covers come in a set of 6 pieces and are available in attractive colors and designs. Note: These bottle covers come in multiple prints and colors. Actual product may slightly vary in terms of print and color and will be shipped based on the availability.